Forrester, a leading global research and advisory firm, evaluated file analytics providers using thirty-one separate criteria, identifying eleven of the most significant providers and researched, analyzed, and scored them, revealing Micro Focus as a leader in the evaluation. There are key business drivers that are fueling the need to both analyze and act on all of your unmanaged files – both risky and valuable. Unknown risks as well as useful business insights lie within your unmanaged file shares and storage platforms awaiting to be analyzed & discovered. 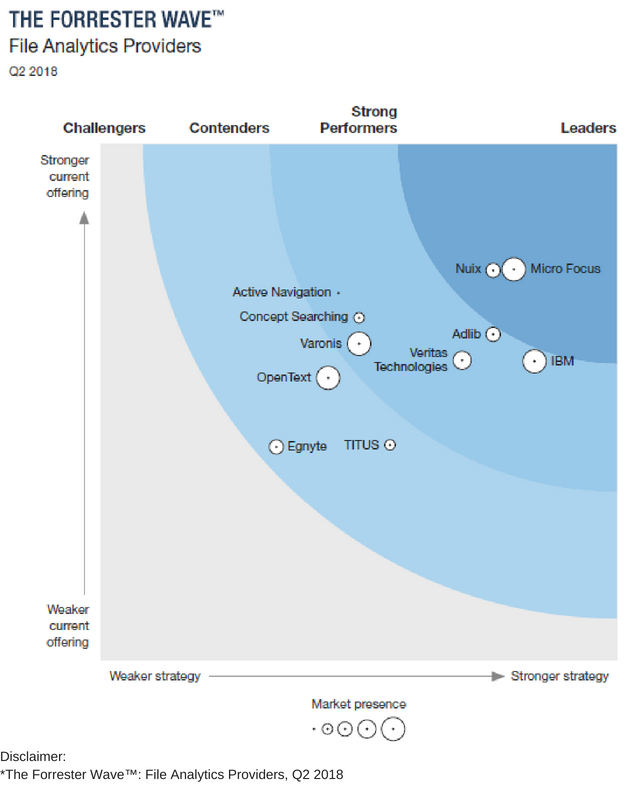 Download the Forrester Wave on File Analytics Providers now to understand these business drivers, how they align to key use cases around unstructured data, and why Micro Focus is a leader in the file analytics market.